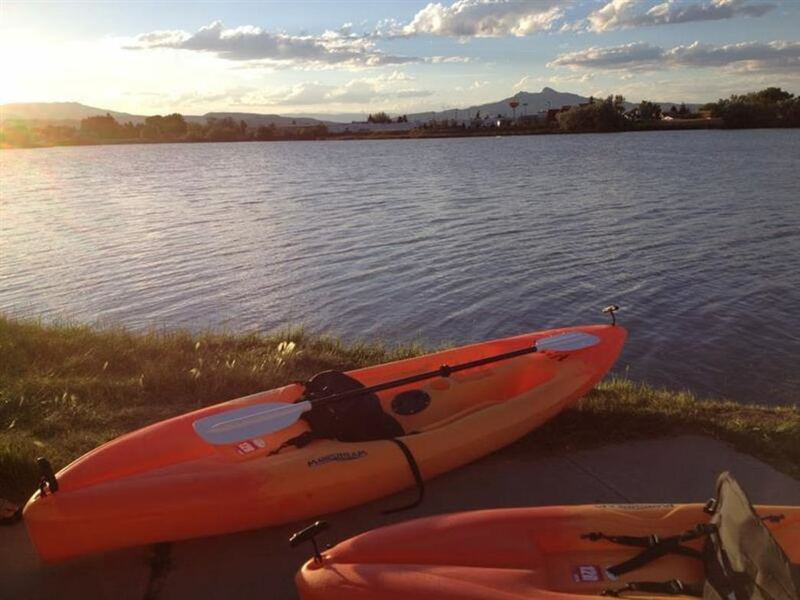 Beck Lake Park is within the city limits of Cody and contains three lakes as well as a paved walking/bicycling trail, picnic grounds and access to undeveloped trails on the BLM land just south of the park. Beck Lake itself is the largest of the three lakes and is a great spot for families with kids of all ages looking for a day of fun in the boats and on the boards. Beck Lake is a massive four minute drive from downtown Cody. 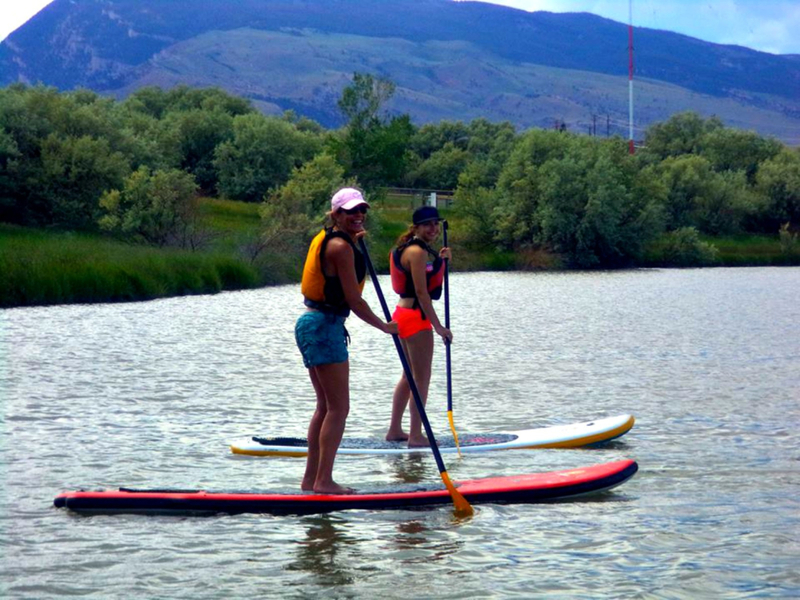 You can be on the water in less than 10 minutes from most places within town. The launch site is located just west of the Lions Park picnic area, near the pump station. The water is warm in summer and the west end of the lake where you launch is fairly well protected from the wind. Carp spawn on this end in June and the water can be roiling crazy with fish that appear practically as big as your kayak or board. Beck Lake provides a sensitive habitat for nesting birds along the shore so bring some binoculars if you’re into birding. You’ll have a good vantage point from the water of the trees lining the shore. There’s a possibility of seeing some mule deer hanging about and maybe even a fox or osprey cruising for a fish dinner. The lake is a good size for beginners who won’t feel intimidated by being too far from shore. If your group doesn’t have enough boats or boards to go around, landlubbers have the option of walking the paved trail around the two lakes above Beck Lake, or even walking the nature trail just east of the picnic area. There’s plenty to keep kids occupied and somebody can even walk the dog to the fenced dog park. Beck Lake is the perfect place for beginning boating. The wind can pick up, but if you stay on the west end of the lake the water doesn’t generally get too choppy. In summer the lake is the perfect temperature for swimming, but can be nippy in spring and fall. If you want to spend more time on the water than in your car, Beck Lake is for you. Beginning paddlers or kayakers can spend all day here, and more experienced boaters will be good for a half day. You can bring a picnic and spend a relaxing time enjoying the water. 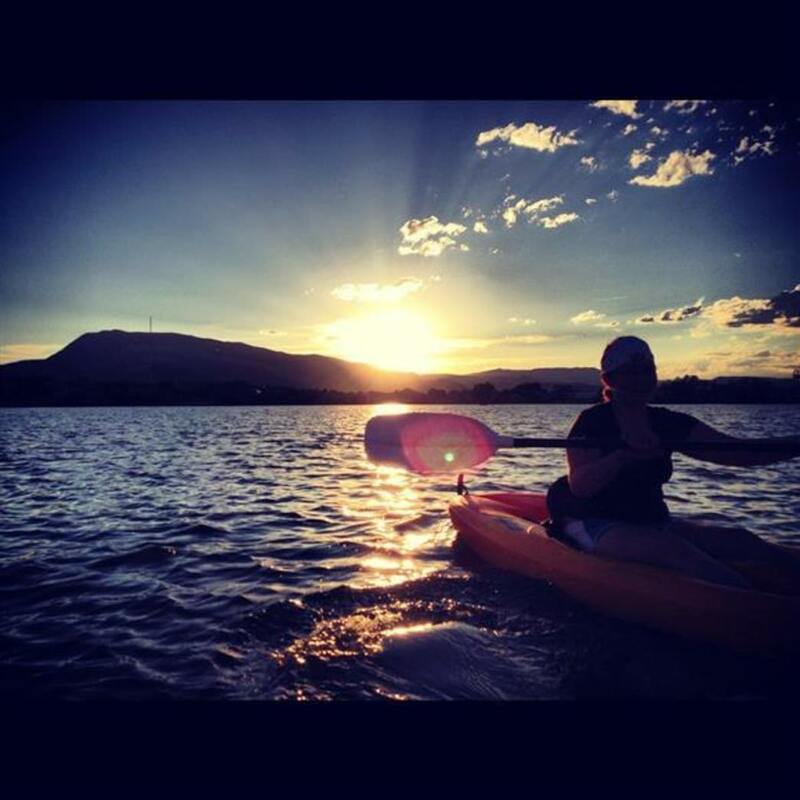 Try an evening paddle for a treat. From Cody, take 17th Street south, up the hill to Meadow Lane Avenue, right before McDonalds. Turn right, drive two blocks and then turn left at 14th Street, just across from Glendale Park. Drive up the hill to the entrance of Beck Lake Park. Continue into the park for ¼ mile and turn left at the Lions Club Picnic Area. In summer the gate closes at 9:00 pm. There are no fees and leashed pets are welcome. Your boat must have a Wyoming AIS decal. Be aware that dogs must be leashed at all times. The picnic area has tables, grills and vault toilets. Insect repellent will come in handy.